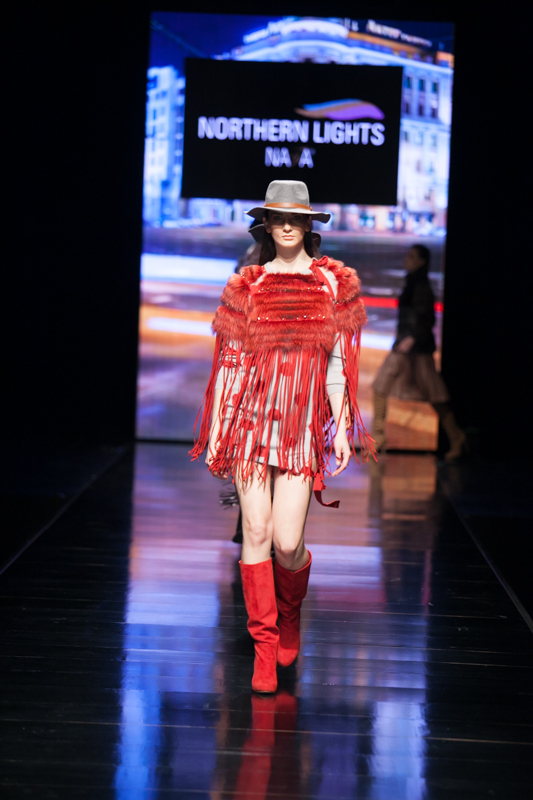 Fresh and modern, sophisticated and luxurious were the creations presented at the Catwalk of Fur Gala Fashion Show of Fur Excellence in Athens 2015, International Fur Fair. The glamorous event took place at Megaron-Athens Concert Hall, impressing the hundreds of guests who flew together honoring with their presence the Fair. Catwalk opened with NAFA’s Creations, FEA’s 2015 Great Sponsor. NEVRIS, LANGIOTTI, MANZARI, KN, PT-Artisti Elena, BOURTSOS, NAOMI, IMPERIA, AVANTI, EFD. Gala Show closed with the creation of Vasili Kardasis, manufactured by Expopel, incarnating the mortal Greek Goddess of FEA’s 2015 Creative. The participating companies presented their best creations and new fur fashion trends within a luxurious environment worthy of the image and position that Greek and International Fur Industry holds. To get an idea of this year’s Fur Gala.